REUTERS/Lucy NicholsonA Southwest Airlines Boeing 737. 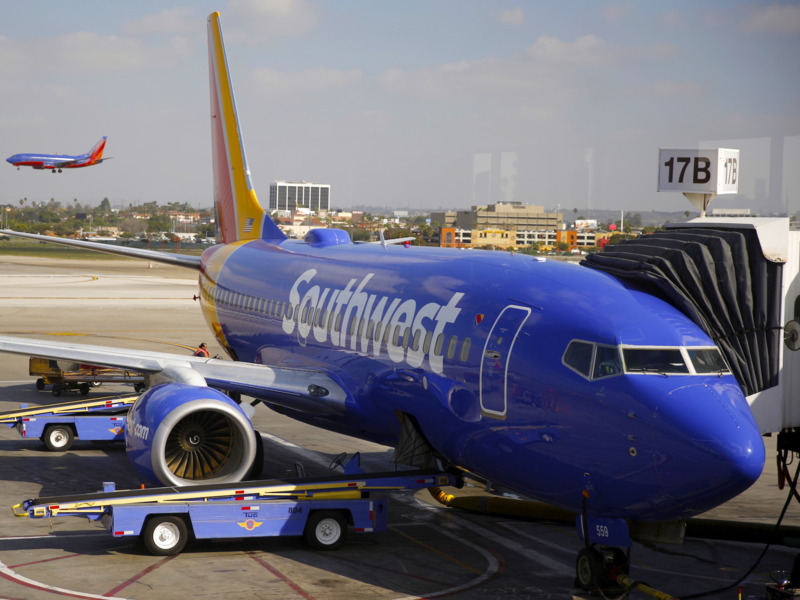 Southwest Airlines launched a three-day fare sale on Tuesday. The Dallas-based airline is offering one-way tickets starting at $49 with round-trips available for as low as $98. Standout deals include $49 flights from Las Vegas to San Francisco and Los Angeles as well as $79 fares between New York and Dallas. However, the sale fares come with preconditions that limit availability. The Southwest Airlines sale ends at 11:59 pm on Thursday. Southwest Airlines launched a three-day sale on Tuesday with one-way tickets for as low as $49 and round-trip fares starting at $98. For this particular sale, prices are broken down into four price categories with the shortest flights starting at $49 one-way while longer routes are available for $79, $99, and $129. The best deals include $49 tickets on routes between Los Angeles and San Francisco as well as on flights between the two cities and Las Vegas. On the East Coast, Boston to Baltimore for $49 is solid buy as is New York to Dallas for $79. As with any major sale, these discounted fares come with restrictions. All flights must be booked by Thursday at 11:59 pm in the time zone of the city where the flight originates. In addition, tickets for domestic flights must be for travel from November 28 through December 19, 2018, as well as January 3 through February 13, 2019. For those looking to fly into or out of San Juan Puerto Rico, the sale prices cover travel from November 28 through December 6, 2018, as well as from January 4 through February 28, 2019.
International discounted travel is available from November 28 through December 12, 2018, and from January 8 through March 6, 2019. The sale does not cover domestic flights on Fridays and Saturdays while international discounted flights on only available on Tuesdays and Wednesdays. Finally, sales tickets for flights to and from Florida and Nevada are only available Sundays through Wednesday.